The Sun transits your 3rd House of travel, visits, relatives, siblings and ideas that can become viable and profitable. As September begins, Mercury (communications, travel and your intellectual nature) will travel through three signs and creates a hectic, fast paced month for you, Cancer. Mercury begins the month in Virgo. 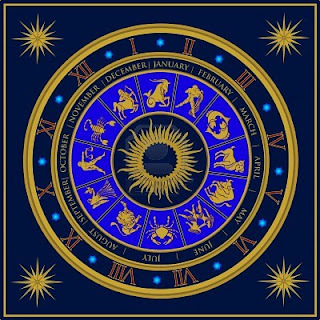 Virgo is your 3rd House of short distance travel, siblings and your neighborhood. Any time Mercury transits your 3rd House, your communication skills stand out and your ability to deal effectively with neighbors, via your home life and within your community, are heightened. On 9/9, Mercury enters Libra and your 4th House. This transit could find you feeling suddenly uncertain and possibly confused with regards to where you stand in your closest relationships. To navigate this transit, be agreeable and utilize tact when dealing with others close to you. Your home life promises to take on greater importance throughout this transit. On 9/29, Mercury enters Scorpio and your 5th House of love, passion and creative pursuits. You figure out where you stand and any previous confusion will evaporate when Mercury transits your 5th House of Scorpio, Cancer. Mars (physical energy/motivation and drive) occupies the month in Leo, Cancer. Leo is your 2nd House of valuables and money. Your greatest motivation throughout this transit will be on payments, savings and collections. A strong desire to increase your finances takes over. However, it will be equally important that you display versatility, adaptability and hang on to your sense of humor. You tend to be conservative with your finances but this month, you need to remain socially minded in regards to your income and all financial matters. Pay special attention on 9/9 as you and a partner could have a disagreement where finances are involved. Venus (love, romance and finances) begins the month in Libra. During this transit, you can find home and family matters dominating until 9/11. Venus will enter Scorpio on 9/11 through 10/7. During this time, a major relationship could end while another one could begin almost immediately. Love relationships become serious and more committed. Your personality shines and invitations to travel will be presented to you. Women will be helpful and assist you in personal matters, Cancer. If single, you could have more than one admirer during this time. Take your time in love this month as you might change your mind about a current partner at a later date. A New Moon forms in Virgo on 9/5. Virgo is your 3rd House of short trips and your community. There could be travel plans on your agenda on this date. Be on the lookout for offers presented to you in regard to publishing, communications and where your personal life is involved. Jupiter is still in your 1st House and creates a smooth angle to this New Moon. Translation? Expect good news to come your way and be receptive to all offers that come your way. A Full Moon forms in Pisces on 9/19. This Full Moon impacts your 9th House of overseas travel and publishing. This Full Moon will be a memorable day for you as well. Overseas travel, higher education and your worldviews come into play. You conclude you're in a much better place than you imagined on this Full Moon. On 9/20 - Pluto turns direct in your 7th House of marriage, legal issues and divorce. The 7th House also rules those who oppose you, Cancer. These areas gather momentum and you regain a stronger position in these areas. Relationships will begin to show serious signs of improvement. The signs of Gemini, Virgo and a Sagittarius will be involved. A Gemini will be demanding of you where your time, energy and resources are involved. Play the waiting game with a Gemini this month, Cancer. 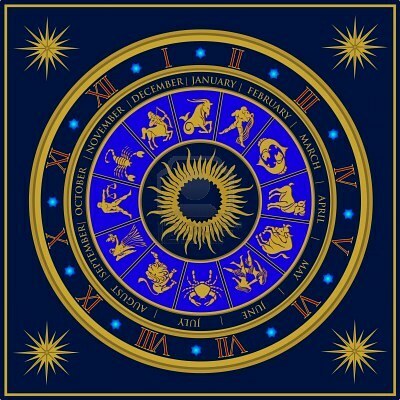 A Virgo will be involved where relatives, siblings and short distance trips are involved. Take it easy with a Virgo this month. A Sagittarius finds you irresistible this month. You and a Sagittarius share a strong connection and a fondness for one another. Sagittarius encourages you to break of your shell and start over again. Follow your intuition in this association for best results, Cancer.